Obesity is a common cause of hypertension and kidney disease. It is estimated that over 30 percent of the people in this country are obese. The definition of obesity is actually a mathematical calculation that your doctor does during an office visit: It is your weight divided by your height, squared. This calculation determines what is called your body mass index, or BMI. Obesity is defined as a BMI greater than 30. In addition to the toll that excess weight has on total body health, it can wreak havoc on the kidneys. It is often seen in combination with both diabetes and hypertension, and the damaging effects that all three can have on the kidneys is incredible. Obesity is a state of inflammation and is a direct risk factor in and of itself for worsening kidney disease, even in the absence of hypertension and diabetes. Like hypertension and diabetes, it can cause an inflammatory response in the kidneys. Increased weight is a strain on the heart and the kidneys. It can raise blood pressure and stimulate the RAA system that has been mentioned multiple times. Obesity is also linked to sleep apnea, which is another unrecognized cause of resistant high blood pressure. The combination of a BMI greater than 30, high fasting blood sugar levels, high triglycerides, and uncontrolled blood pressure is caned the metabolic syndrome. The increased weight causes resistance to the actions of insulin in the body. This common syndrome increases the risk of developing diabetes, kidney disease, heart disease, stroke, and vascular disease. Weight reduction and lifestyle modification are the gold standards of treatment. 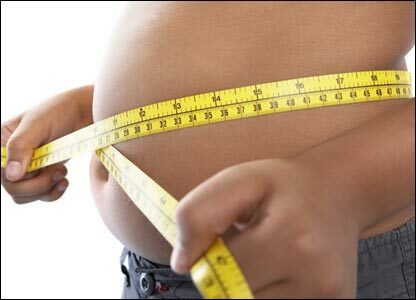 There is a direct link between obesity and proteinuria, even in the absence of diabetes. Increases in proteinuria correspond to increases in weight. There is also a condition called obesity-induced glomerulopathy (glo-mare-u-la-pathy), where the stress on the kidneys is so great that it can cause them to lose significant amounts of protein in the urine. This condition is often reversible and usually resolves with weight loss. Lifestyle modifications are the most important way to change your life, lose weight, and improve both your overall health and your kidney health. There are also certain medications that are used in the treatment of obesity. For more information regarding them, I strongly suggest opening a dialog with your doctor. When I have obese patients with kidney disease, I try strongly to encourage lifestyle modification first and foremost. Finally, for those whose weight is significant and very difficult to lose, your doctor may suggest bariatric (bare-e-at-rick) surgery as a means to lose weight. It is an option for many people, but as with any procedure, you need to make sure it is right for you. You should do some preparation work on your own and ask the right questions before your doctor visit. As people are living longer, vascular disease, or atherosclerosis, and its role in kidney disease is becoming a more recognized problem, especially in the older population. It is commonly seen in people with hypertension and diabetes, because they can often have problems with the blood circulation in other parts of their bodies. Many will have coronary artery (heart) disease or problems with blood flow to the legs, called peripheral arterial disease, or PAD. There may also be problems with the blood circulation in the carotid (car-rot-tid) arteries in the neck, which can increase the risk of stroke. The treatment of problems with blood flow to the kidneys, however, is very individualized given the complex issues involved. Think of the aorta (eh-orta), the largest artery in the body, like the trunk of a huge tree. Responsible for supplying blood to the entire body, it has many branches that travel throughout. A small, single branch off each side of the tree trunk goes to both kidneys. The narrowing of any artery can affect the blood flow to the kidney, which is called stenosis (ste-nose-sis). There are a couple of ways that the artery to the kidneys can become stenosed (narrowed); the most common cause is atherosclerosis to the artery, or plaque buildup that occurs over years. States of inflammation can quicken this process, as it can for any blood vessel in the body. To find out more, you can check out What Are The Causes Of Kidney Failure.